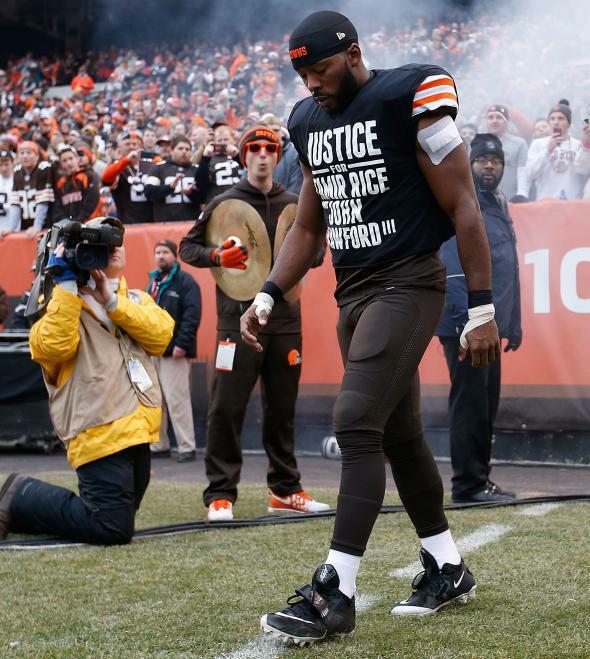 Andrew Hawkins protest t-shirt: Receiver defends rights. “I was taught that justice is a right that every American should have. Also justice should be the goal of every American. I think that’s what makes this country. To me, justice means the innocent should be found innocent. It means that those who do wrong should get their due punishment. Ultimately, it means fair treatment. So a call for justice shouldn’t offend or disrespect anybody. A call for justice shouldn’t warrant an apology. In addition to playing in Cleveland, Hawkins—a Pennsylvania native—attended college at the University of Toledo.